We love this very special street and are honoured to work with all the wonderful women who own and operate some of the best local boutique shopping available in the region. 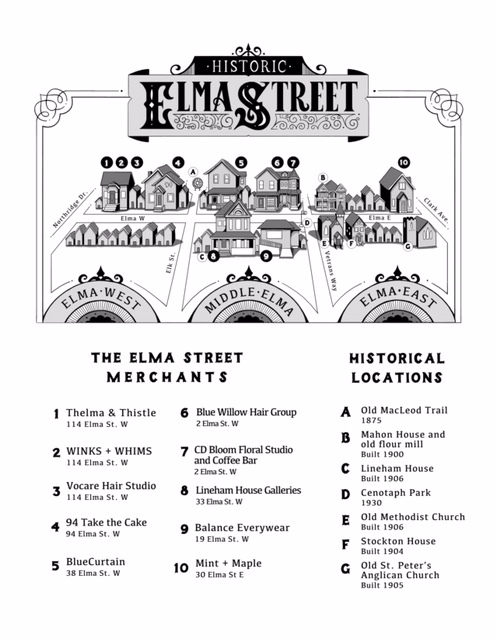 Whether it is jewellery, the latest fashions or gifts for your home and those you love, personal service and attention to detail is what you will find here in the slow shopping Elma Street Historic District of Okotoks. Be sure to visit, introduce yourself and make this house, and our neighbours houses, home. You know you want to go where everybody knows your name!